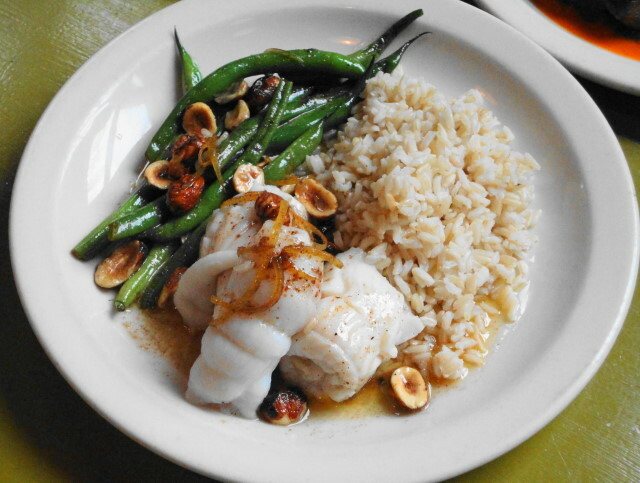 The new Spring menu at Cafe Presse features steamed Dover sole served with brown rice, sauteed green beans and a brown butter sauce with lemon, candied lemon peel and hazelnuts. 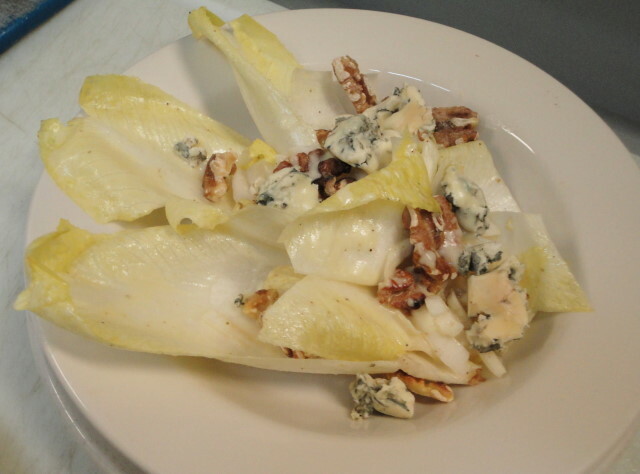 The 2013 Spring menu starts today at Cafe Presse…. as usual, the day kicked of for the staff with a menu tasting at quarter to nine in the morning. You can check out the new menu for yourself by coming by or by clicking here. 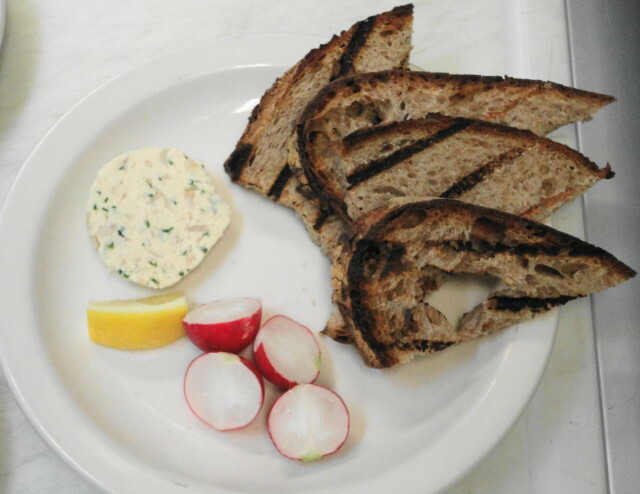 House smoked trout butter served with radishes, lemon and grilled country bread. 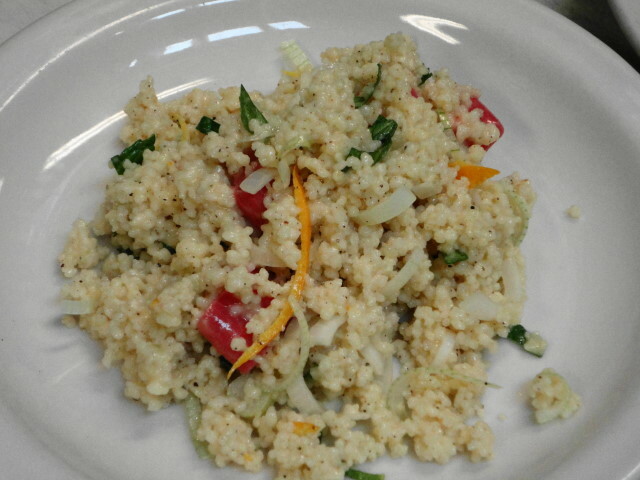 This is the salad served with the cold roasted half Washington natural chicken: Citrus couscous, candied rhubarb, spring onions and mint with a rhubarb vinaigrette. 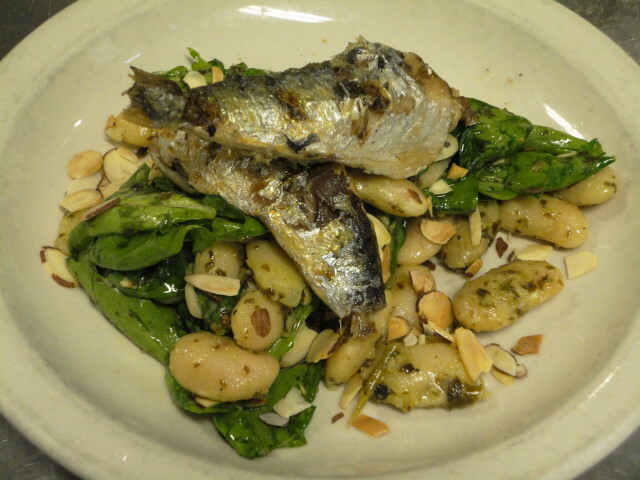 Grilled Spanish sardines on a warm salad of white beans, almonds and wilted arugula tossed with a spring herb pistou. 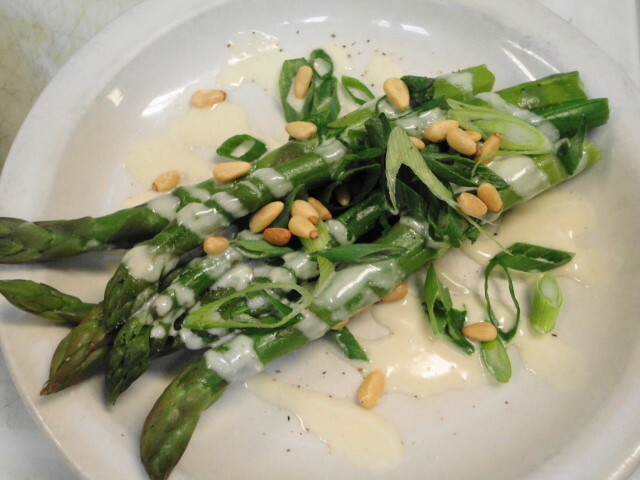 Cold Yakima asparagus with scallions, pine nuts and goat cheese vinaigrette. 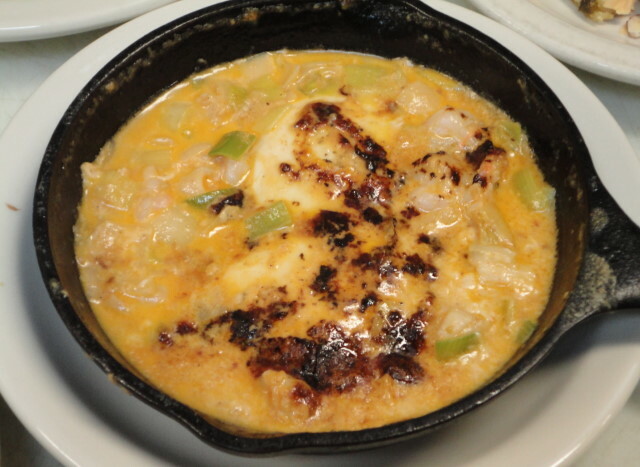 Poelon breton…two eggs broiled in a skillet with wild caught gulf prawns, bay scallops, leeks and lobster cream. 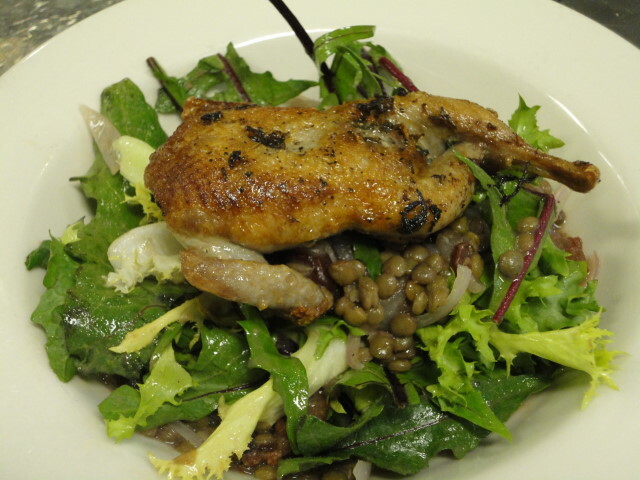 Pan roasted quail served on a warm salad of curly endive and dandelion greens and green lentils tossed with a warm shallot-bacon vinaigrette. 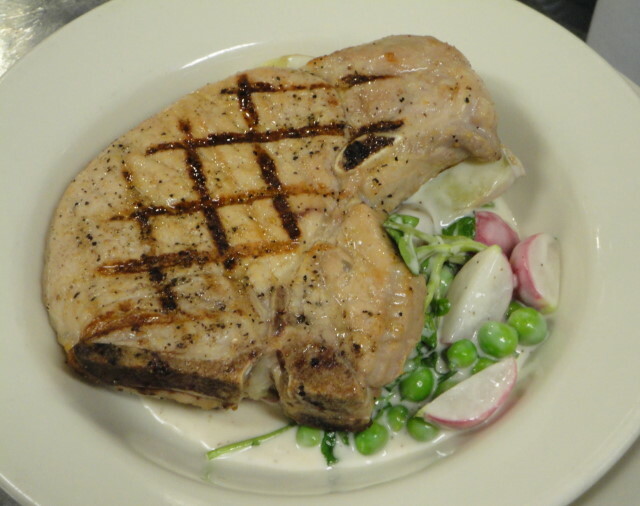 House smoked Carlton natural pork chop, grilled and served on radishes, peas, fingerling potatoes and watercress simmered in taleggio cream sauce. 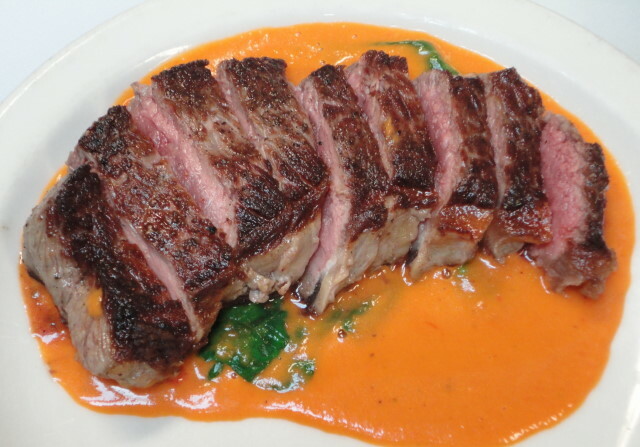 Pan roasted NW Grassfed petit New York steak served with a roasted red pepper-spinach coulis and pommes frites. 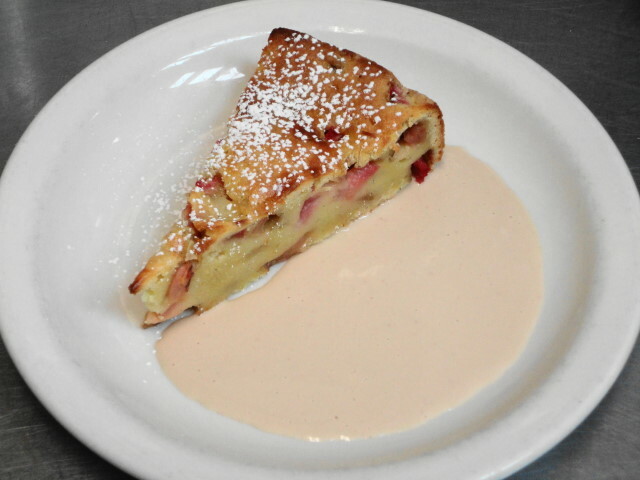 Warm rhubarb-vanilla cake served with walnut creme anglais. 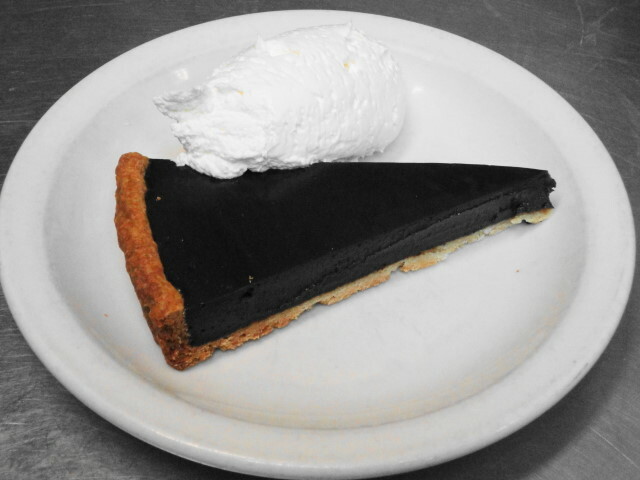 Orange scented chocolate ganache tart served with whipped cream. 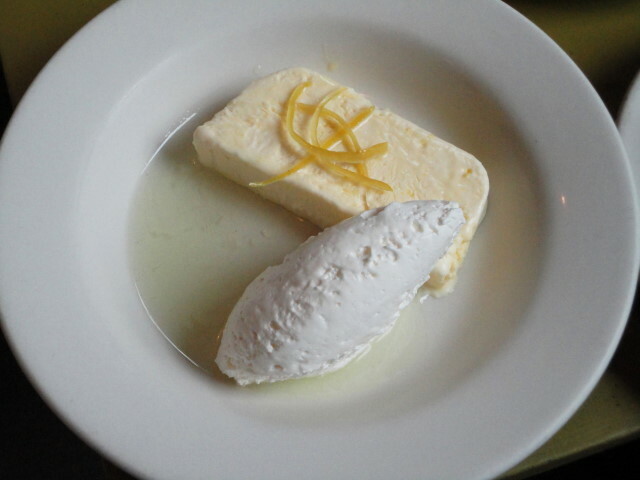 Frozen lemon mousse with candies lemon peel, lemon syrop and whipped cream. 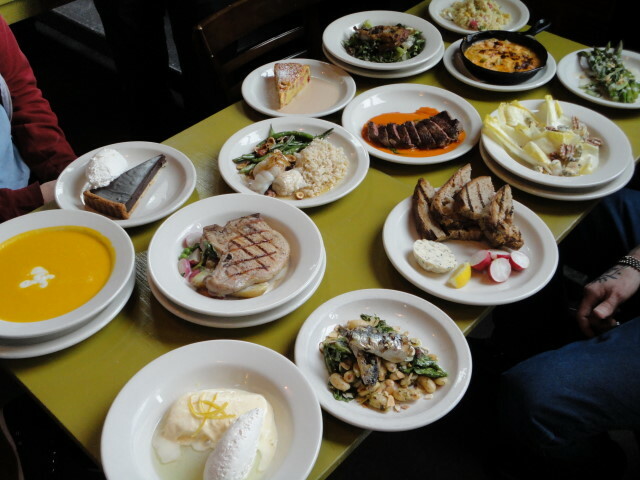 All the new dishes at the staff tasting. This entry was posted in Cafe Presse and tagged Beef, Cafe Presse, desserts, eggs, Fish, Fromage, New Menu, pork, poultry, Vegetables. Bookmark the permalink.